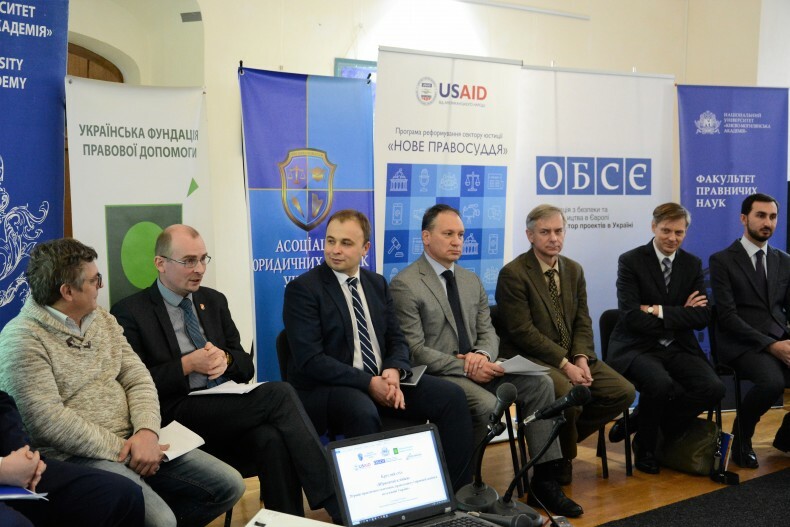 On December 15, 2016, in the hall of the museum of the National University of “Kyiv-Mohyla Academy”, the round table “Legal Clinics: 20 Years of Practical Training, Advocacy, and Legal Education in Ukraine” was held. The discussion during the opening event was about the establishment of the institute of legal clinics in Ukraine, its values, activities, development and cooperation with the executive authorities. The moderator of the roundtable was Andrii Halai, the Chairman of the Association of Legal Clinics of Ukraine and representative of the Analytical Direction of the Ukrainian Helsinki Human Rights Union. Ambassador Vaidotas Verba, the OSCE Project Co-ordinator in Ukraine, highlighted the importance of clinical legal education in Ukraine. He spoke about the work carried out by the OSCE in this regard. Roman Romanov, the Coordinator of the Renaissance Foundation, said that today in Ukraine we can confidently speak about the clinical legal movement. 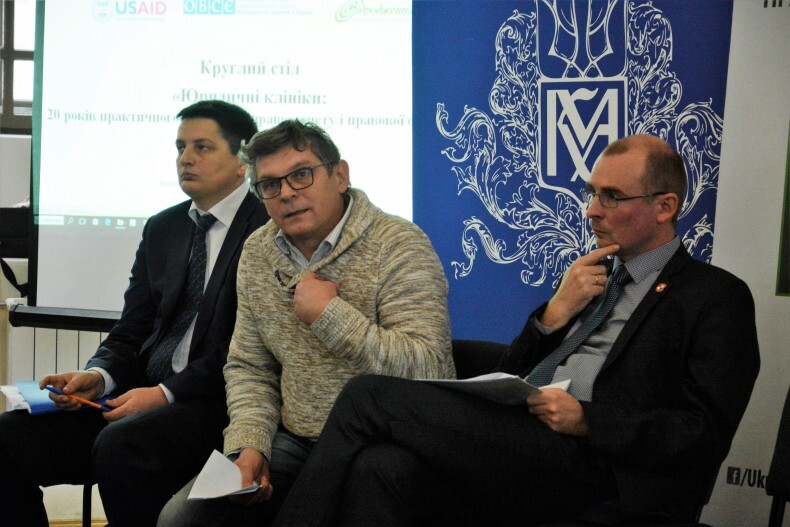 Roman Usenko, an Adviser to the Minister of Justice, noted that the Ministry pays considerable attention to the issue of legal education, including the issue of legal clinics. He also expressed hope that legal clinics will be involved in the reforms that the Ministry of Justice implements. Ashot Ahaian, a representative of the USAID Nove Pravosuddya Justice Sector Reform Program, told about more than 87 areas, which are now involved in the Program. Legal clinics became a part of this massive work. According to him, 5-10 years before the issue has not been as so important as today. Arkadiy Bushchenko, Executive Director of the Helsinki Human Rights Union, noted that the issue of human rights in legal education, according to him, in the early 2000s was not properly represented. Currently, the Union within its training direction is trying to actively develop thematic issues of human rights according to challenges. Arkadiy Bushchenko also noted that the network of legal aid receptions is ready to provide the field of work to legal clinics. The roundtable consisted of several sessions. The first session was devoted to the history and achievements of clinical movement, the second – the improvement of clinical legal education in Ukraine. The third section was the roundtable dedicated to the strategic goals of the institute of legal clinics and partnership development in this area. 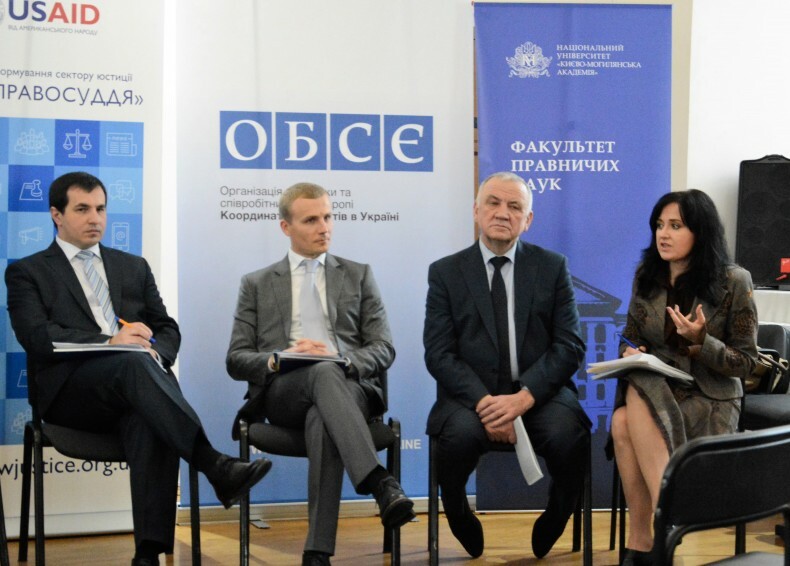 The event was organized by the Association of Legal Clinics of Ukraine with the support of the Ukrainian Legal Aid Foundation, the USAID Nove Pravosuddya Justice Sector Reform Program and the OSCE Project Co-ordinator in Ukraine.